Thoughts On Monster-Hunting, or The Downside of an Overactive Imagination. One of my favorite things to say is: Action eliminates anxiety. The more I stay in action, the more I keep my Why in front of me, the more I keep my stage fright at bay and make my closet monsters* disappear. Open that closet, and realize that you have more power than those monsters. Unless you’re in a horror movie and you hear rattling from inside a normally silent closet or room. Then you keep that ish closed, and slowly back away toward the closest flamethrower. And I listen, and allow the fear to sound like wisdom and crawl back into my shell where it’s safe. Where I’m small. Thankfully, there are other, deeper, better examples of people who have supported me and do support me, who encourage me and whose example reminds me that EVERYONE has these kinds of embarrassing or emotionally stressful memories. It’s part of working for and serving people. I don’t have a delete button installed in my brain yet, but I have been able to look at my memories, feel the embarrassment/anger/fear, and realize how different I am from the person before. And I don’t have to be the person who lived those memories. I would like to create a new story for myself. One where I can dump the hard shell that no longer fits and feel more like me again–silly, laughing, ridiculous me. I want to let go of the other labels I clung to that no longer serve me, and in fact hold me back. I want to be known for more than being analytical or managerial or robotic. I can be those things. But they’re not me. They’re the personas I step into to become successful in my day job; the game face I put on that helps me power through when I just want to quit. I’m on the cusp of doing it again: stepping out of my comfort zone and going after something big. This time I’m determined to push forward. This time, I won’t relive the past. This time, I’ll create the future I want to see happen. I realize that I didn’t post my last two days for my #Transformin2017. I have no reason other than stage fright. They’ll be out soon, with a fitness day and a “putting it all together.” I’ll also post about what I’ve been up to! Bucket your to-do list tasks together to create a Massive Action Plan. Clarify your priorities by naming your areas of continuous growth. Identify any gaps you may have from your daily routine versus your ideal routine. Choose one action that will close the gap. Day 1: What’s my Outcome? Day 3: Clarify your priorities. Today, we’re going to build upon what we talked about yesterday (creating habits) and zero in on the one routine that will give you the most return on your productivity. All of the new actions that you’ve identified this week may seem overwhelming. Maybe you’ve identified that you want to be financially free, but you barely remember to check your bank balances let alone find time to budget. You Have More WIllpower in the Morning. The mornings are the perfect time to tackle all the things that are important to you. For example, many studies have shown that you’ll be committed to a morning workout versus an evening one. In the morning, you are more likely to have more willpower and discipline. Your decision-making faculties haven’t been depleted from the other busy-ness that has been thrown at you during the day. When you tackle your most important task in the morning, you bring to it fresh eyes and mental energy. Time is the biggest excuse that people have not to do anything. Creating an intentional morning routine, though, will give you found time. In the morning, you can choose to wake up 15-30 minutes earlier than you normally would have in order to find the time. You can set up a reminder on your phone or watch, and you’ll find the time to create that household budget or work on your side-hustle. Also, when you are clear and intentional about scheduling a task, you will increase the chance of getting it done. This past week we may have identified a few gaps that we want to bridge. 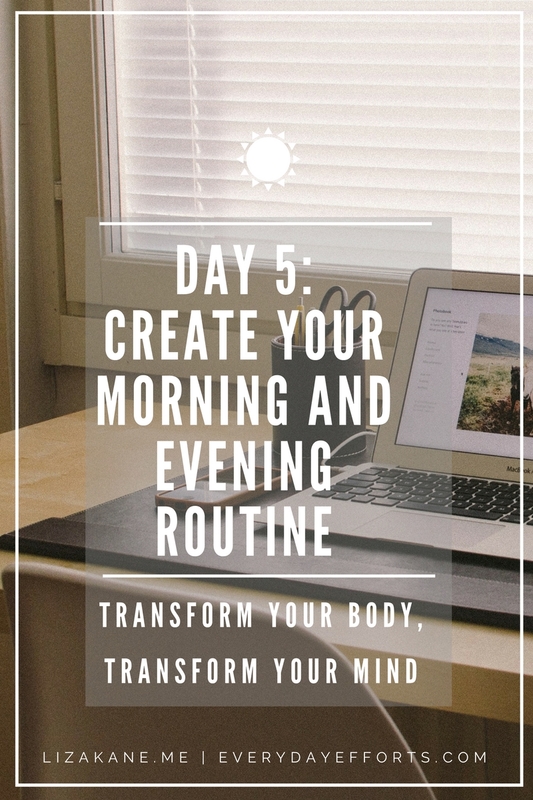 When you incorporate your personal improvement categories, you easily create an intentional morning routine that you will stick to. You’ll be more excited about getting up 15 minutes earlier, and before you know it, your routine will morph into something even more sacred to you: it will become a ritual. Rituals are those actions that look like routines, but what may start with an outward or external focus (lose weight), becomes an internal one (be my best self to create a better world). You are more deliberate in the act of doing this routine on purpose and feel a sense of purpose and enlightenment. This is why it’s so important to focus on your Outcome and not your activities; this is also why you need to have a compelling and purposeful Why. Your Why is your fuel that will propel you toward your Outcome. 6AM: Wake. Water and coffee. Creating an intentional morning routine, even as simple as sitting with a hot beverage for 20 minutes, will do wonders for keeping you grounded throughout the day. Your brain dumps don’t even have to be complete sentences. Just some observations, key words, or random thoughts jotted down. Review the next day. This literally takes a minute to glance at your schedule and see what’s up for tomorrow. Tweak and change it as needed from whatever you gleaned from your brain dump. This is also a perfect time to unleash your subconscious mind. Focus on the current outcome you want, like being financially free, and visualizing all the things you will do to get there. Create a vision so compelling, you give yourself chills. While you sleep, your brain will be at work creating new neural pathways for you, strengthening connections and weakening others. This learning process happens a lot quicker while we sleep, so why not give your brain a specific problem to muddle over? Also, your subconscious is more receptive as you go to bed, and as you wake up. Focusing on your outcome during those times will strengthen your mental resolve to go for your dreams. Plan and set your wake-up time. You’ll eventually get to the point where your body just naturally wakes up at the same time, but until then, set yourself up for success by setting your alarms. If you have a hard time waking up, instead of relying on a snooze button, set multiple alarms at 15-30 minute increments a full hour or two before your intended wake up time. 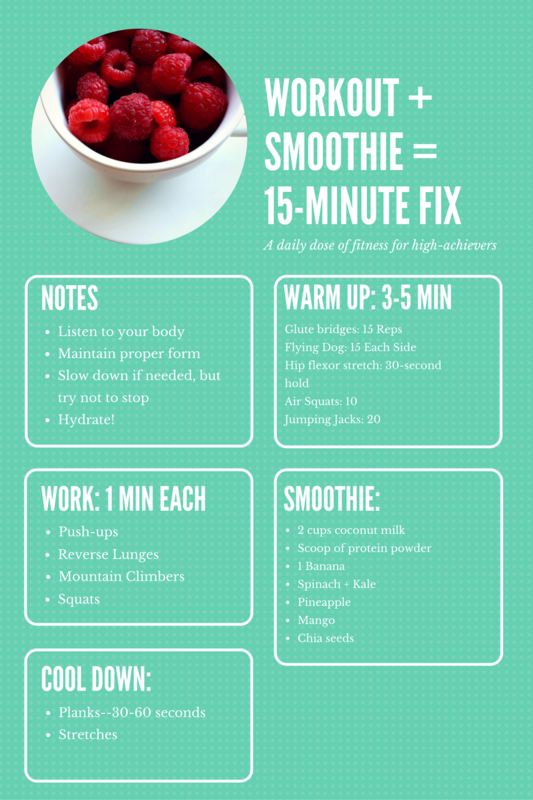 Tomorrow we’ll be putting it all together, but for now, it’s your turn to unleash the power of these routines! Before you go to bed tonight, brain dump all the things that happened today into your journal or notebook, review what’s on your docket for tomorrow, and plan when you need to get up to make room for your One Action. In the morning, go directly to your One Action and dedicate that first 15-30 minutes of your day to it. Remember to celebrate showing up! Even if you just sit there and stare over your coffee, you showed up, and you should celebrate it! Transform your body. Transform your mind. I believe that dreams are worth pursuing. Whether it’s becoming a best-selling author, owning your own business, or living your best body now, your dreams can become your reality. The trick, if there is one, is acting on it. Two years ago, Operation Freedom was just a desperate scribble in a notebook. I never once thought I was crazy for wanting all the stuff I wrote down, I just knew I wanted it. And if I worked hard enough, I knew I would earn both. Instead of hemming and hawing like I usually would have, I just acted. I pushed myself to act as if I already had those things, and never looked back. Inspiration starts the action. Momentum finishes it. I don’t know about you, but I love newness and beginnings. I can start new projects all day long. What I was very aware of, though, is that I only finish half of the projects I start. And most just die after a few days or weeks. The ones I finished were done so with Herculean effort toward the end. Daily action was how I gained momentum on the dreams that were just scribbles in a notepad two years ago. I’m still a long way from accomplishing what is a 5-year plan, but I am already a year ahead of schedule. I have learned to lean into any fear or anxiety I felt along the way with action. I would brain dump onto paper any of my thoughts or anxiety. I would create systems and plans from the word vomit. I would tap a trusted friend for feedback, advice, and encouragement. Whatever I did, I didn’t stay idle. I stayed in action, and through it, gained progress, however small the steps were. With each bit of progress, I gained confidence and belief in myself that I was going in the right direction. Every time I felt resistance, I leaned into it. Every single time, I pushed through the other side and was rewarded with deeper clarity and heightened courage to keep going for my goals. I noticed a theme in my journals, though. The projects I finished, I worked on nearly every day. When there weren’t long gaps, I was able to push through and finish the projects with a manic glee. That’s when I started really embracing the idea of everyday efforts. It’s so much easier, and feels so much more rewarding, to devote little bits to a Hot Project daily than it was to return to it whenever I had a three-hour block in a day. Not only have I been able to embrace my process, it also became the name of my new program and brand. I know how rewarding it was for me to start 2015 with a bang. So, I thought to invite anyone who wanted to join me for my planning session this year. 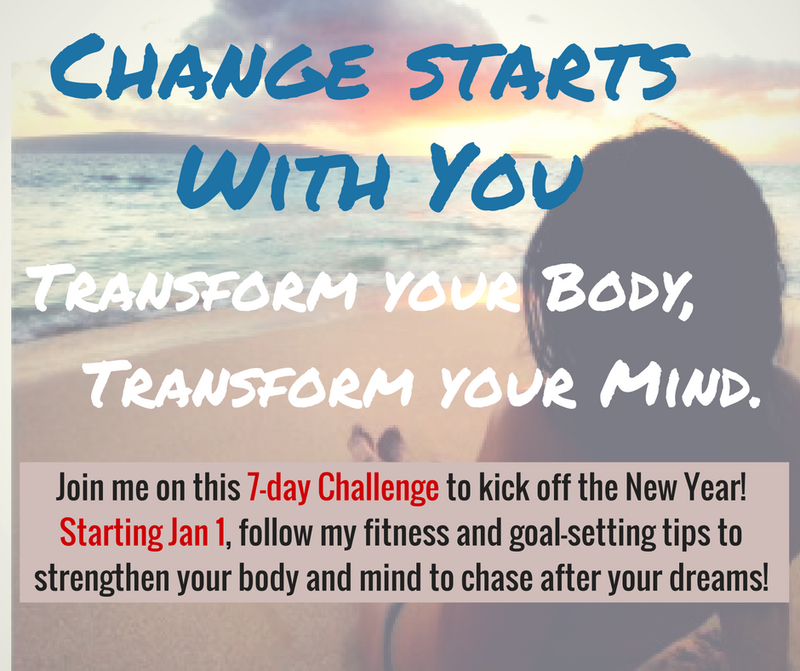 Starting Jan 1-Jan 7, I’ll be posting my fitness and planning tips here on the blog and on my facebook page. I would love to hear from you each day if you choose to follow along! Until then, enjoy your New Year’s celebrations! Failure is a stepping stone not a stopping point. In my quest for mentors and role models to guide me in this new realm of entrepreneurship, the ones who seem to resonate with me the most are the ones who have failed the most on their journey. They are the ones who seem to have lost everything on their road to success but still kept going. In fact, their failures seem to pivot them toward another path that eventually would propel them to a higher level of success. How a failure launched another dream. For example, Dave Ramsey is a name brand in the finance coach arena, but his past isn’t perfect nor does he hide it. He used to be in real estate, and at one point needed to file for bankruptcy relief. Around that time, he started coaching small groups around money matters, and soon, Financial Peace was born. I don’t know how he found the grace and grit to rise, but I’m thankful he did. Because of his teachings, I am free of credit card debt, and am on to the third baby step of his process (save 3-6 months of expenses in savings). What may have seemed like a huge failure at a time, actually became a new beginning and calling. I have been blessed by his financial coaching, and I know millions more have been as well. The word success has such a positive connotation to it that we immediately equate it with: easy, done, perfect. The reality is that behind every success story is a string of struggles, obstacles, and failure. Failing is part of success, not the opposite of it. The ones who have reached a modicum of success are just those who have learned to fail fast, and keep moving toward their goal. I think part of success is developing your mental resilience like you would any muscle. In sports and fitness, you learn how to fall safely in order to prevent injuries. The same can be applied to our other non-physical goals. What did I learn from this? Re-align yourself with your outcomes. Are your activities aligned with your purpose? If not, then let go and feel good about it. What’s the next step? So often we look to our Big Goal and it seems like this immovable point in the distance always out of reach. Focus instead on the next step that you need to do, and gain momentum there. Remember your Why. Meditate and reflect on your Why so that you can be re-energized for your work and better serve those around you. Even the most menial or tedious task can be transformed into something joyful and rewarding simply by remembering Why you’re doing it. Gratitude. When you reflect on all the things you’re grateful for, you will feel better mentally and physically. You become more others-focused rather than self-focused. It will help you focus on the positive things in life that you want to protect and enable others to have as well. Just like any exercise, the more intentional and consistent you are, the easier these practices will be. I know it’s hard to see in the moment, but failures aren’t meant to stop you. Failures just show you that you need a different perspective both on your goal and of the failure itself. It gives you the chance to pause, reflect, and strengthen your vision for what you hope to accomplish. I hope that wherever you are in your journey, that you’re still pushing toward your goals, whether you’re already in action or are still dreaming. I’ll eventually be moving this blog to a self-hosted site. I think I’ll be able to move my readers/subscribers with me via Jet Pack, but if not, I’ll make sure to add your email addresses to keep you in the loop! I was thinking about doing a simple fitness and planning challenge to start off the new year. Like a “Transform your body, Transform your mind” challenge. I’ll be hosting it here for the first week of January. I’ll post details tomorrow–lemme know what you think! I can understand how people can feel duped when marketers sell them something. Most of the time, what really sells is the idea of simple and convenient. I’m the prime audience for marketers. When I see a food commercial, I’m immediately hungry and want to eat. When I see a campaign for a new makeup release, I’ll immediately want it. When I see a new exercise program, I want to jump on board. Then of course my rational mind comes in and brings me back in line with my financial and health goals and tells me that just because something is pretty doesn’t mean I need it in my life. And just because something looks simple to use, doesn’t mean it will be easy to get the results I want. If simple were easy, everyone would be at their ideal health and fitness goals because the answer is scattered everywhere: eat real food and move more. Everyone I know from all health levels knows that they ought to be eating more greens and fruits; they just don’t. But simple choices are rarely easy to make. It’s not easy to choose the healthy option when it’s more expensive than the dollar burger. It’s not easy to choose water when your friends are drinking beer. It’s not easy to cook a meal when you pass five fast food joints between work and home and you still have a million errands to run. It’s not easy to get up before dawn to work a body that just wants to sleep. It’s especially not easy to continue to make those healthy choices when you don’t see results. We’re not doomed to being stuck. We’re already past the first hurdle: awareness. At least we are aware that we are trying. We are aware of our goals. We are aware of our obstacles. We are aware of our excuses. We are aware that this new process we are embarking upon is hard. So we accept it. Not the excuses. The awareness. The reality that this new process is hard. Only then can we really tackle the goal and treat it with the mindfulness it deserves. Only then can we decide if it’s truly worth it to us to continue. How about you? Do you have any goals that are constantly on your To Do Lists, but never seem to gain traction on? I’d love to hear about it! Whenever my life creeps into overwhelm, I find that I am quick to drop everything non-essential and focus on my one true foundation: my health. One of my highest values is freedom. Having a strong body and mind is essential for me to create the freedom that I need in my life. This is why I am able to make the decisions that I make without guilt or apology. For example, if something or someone is consistently negative, I excuse myself from that situation or learn to avoid that person. If I’m feeling under the weather, I make sure to sleep more and drink more water, tea, and green juices. I exercise regardless of my mood, and avoid foods that would stress out my body. I don’t eat a perfect diet or always get 8 hours of sleep in. I have just learned to listen to my body and react quickly to biofeedback. Because I value freedom, I don’t want anything slowing me down, including a sick or dis-eased body. Also, when you believe that you deserve the best life, you treat yourself accordingly. This method and philosophy has served me well. I’m rarely sick (last time was in May 2007); I have not missed a day of work in nearly ten years; I can go for long stretches with barely any sleep (not that I advocate forgoing sleep any longer); and, I have an iron stomach. There are times, though, like during the holiday season, when I’m stretched just a little too thin and I start to feel a bit off. Thankfully, I’m quick to react to it. But instead of trying to cut corners to fill in all the extra stuff that creeps in to the holidays (longer work hours, more annoying phone calls, more demands on my time and attention), I become even more diligent about maintaining my health and boundaries. Junk food is a temporary fix with long-reaching consequences. So rather than reach for a stomach-cramping-and-bloat-inducing non-food, I turn to whole foods. I love soups of all kinds. I love grass-fed meats. Basically, food closest to its natural form. I own an Omega juicer and love juicing greens for a quick nutrient-dense shot of super foods. My favorite combo is spinach, kale, celery, carrots, ginger, lemon, apple. This is usually the area of most temptation for me, but I have learned that I am more nimble and quick when I am well-rested (8 hours), so I get the best return on time investment with sleep. Plus, sleep is the only time your brain has to release all the bad juju that builds up inside it all day. I know that doesn’t sound all that science-y, but google it and feel better about honoring your sleepy time. Yet another place where there’s a temptation to skip because it doesn’t seem productive. However, these 10 minutes at the start and finish of each day are vital to setting me up for success. At night, I do a brain dump of all the stuff that happened that day.I also make a to-do list for the next day, and I’m mentally preparing myself for the time I need to wake up the next day in order to get it all accomplished. Then, in the morning, I clear out the junk from my head during morning pages, and ready to clarify my tasks and ensure they are aligned with my big picture goals. I always leave my house feeling in control of my day. This is basically the best cure-all for overwhelm or stress. Strength training raises all the good-vibe hormones, increases immune system, increases muscle growth which in turn, makes you overall stronger and more equipped to face life. It takes less than fifteen minutes to incorporate an effective strength training workout into my morning, and gives me the ability to serve at a high level every day. This is yet another habit that has given me an infinite return on such a minimal time investment. So those are my favorite things! Feel free to share any of yours!